April 29, 2015: SOLD OUT! Ziva was born on May 16, 2011. Ziva's dam is Our Sweet Honey of Silverbrook...."Honey", and her sire is FC AFC Small Craft Advisory...."Rough". Ziva came to us from Churn Creek Retrievers in Worton, Maryland. 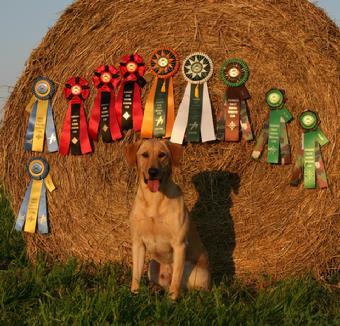 Ziva is a high rolling fireball in the field. She is a great marker and wants to work constantly. 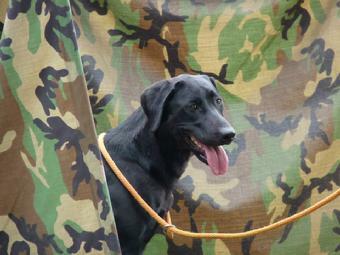 As of 6-16-12, Ziva earned her Junior Hunt Title on 6-16-12 and Senior Hunt Title on September 1, 2013. As of 8-13-14, Ziva has 2 Master passes. She will continue training for her Master Hunt Title. Timber has earned his HRCH at 24 months with a perfect record of 2/2 in Started, 3/3 in Seasoned, and 4/4 in Finished. He currently is 15/16 in Finished. He earned his MH at 36 months by going 6/6 in Masters. He ran 4 weekends in a row to obtain this title and Qualify for the 2013 Master National. Along with being an HRCH MH he also has earned a 3rd, Reserve JAM, and JAM in Qualifying Stakes. Timber is the “complete package”. He excels at “dog games” along with is an incredible companion in the duck blind or dove field. Most of all Timber is a family member and spends his down time playing with our toddler and relaxing around the house. Timber is owned by Matt Gasaway, River Bottom Retrievers, in Kokomo, IN. Dew claws were removed on Monday, May 4, 2015. Pups were wormed at 3, 5 & 7 weeks of age, and pups received their 6 week vaccines and were vet checked and certified healthy by Dr. Sam Yoder of Silver Maple Veterinary Clinic on June 10, 2015. Born and raised in our home....well socialized. Ready for new homes June 20th.